Sharon Penner laughs easily and oozes Georgia warmth and charm when you ask her about her passions. Walking alongside family members who are first encountering the journey of a loved one being diagnosed with Alzheimer’s disease or other forms of dementia. Helping others discover their dreams and making them happen. Giving others meaningful, custom jewelry from Origami Owl® to help them as they walk through grief. A closer look at her wrist reveals a deeper reason behind those passions, however. In 2008, she struggled to find the will to live. Years earlier, she was her mother-in-law’s primary caregiver, finding answers to why her mother-in-law was being so forgetful or acting out of character. She took her to every doctor’s appointment and was her advocate as she declined and then eventually passed away from vascular dementia. 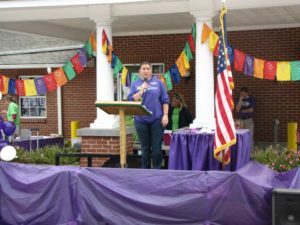 After her experience, she became involved with Alzheimer’s disease walks and support groups, raising thousands of dollars to support national organizations and educate others. But, as she poured herself into supporting the cause, her marriage was falling apart, and her cry for help to a doctor and her husband went unheeded. Feeling hopeless, she attempted to end it all. Three years later, her life looked completely different. She was a divorcee who had “lost it all,” from material possessions to friends, during the life change. 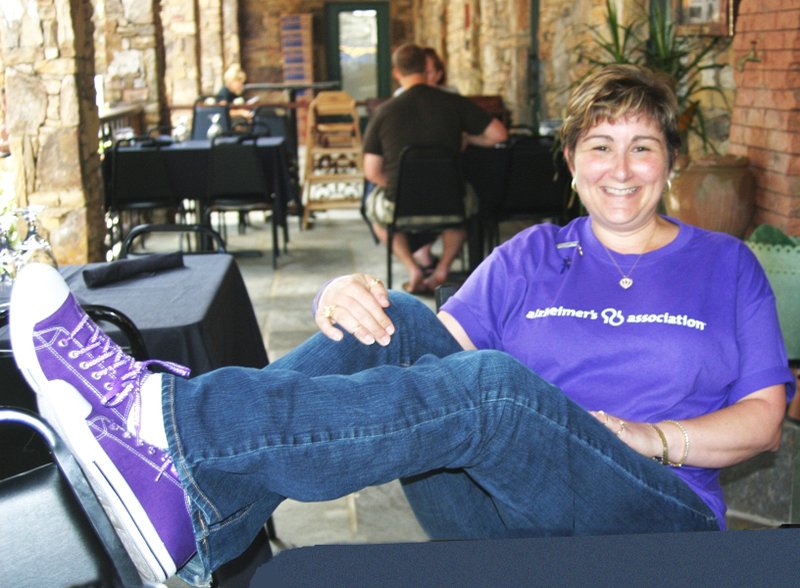 So, she devoted herself to raising awareness and funds for Alzheimer’s research, traveling to different events selling T-shirts. It was at one such event that her friend encountered a woman named Laura, who introduced her to a new social selling company called Origami Owl and gave her a flyer with the company’s mission statement. After joining Origami Owl as one of the first 2,000 Designers, Sharon quickly found a loving community of friends and a fun business that generated a lot of interest. 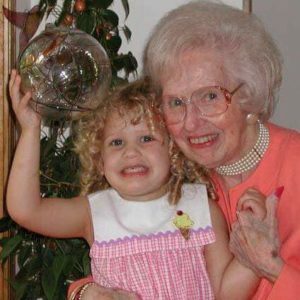 She continued her efforts of paying it forward and helping to further the awareness and fundraising for Alzheimer’s and even lobbied in Washington D.C. for improved research and support. Now, her Origami Owl business was supplementing the monthly income she received from disability, which came about after five back surgeries made it impossible to work at a traditional job. So, what has she learned over the past five years with Origami Owl? Because of her continued efforts giving Lockets to bereaved families; running a monthly support group; donating commissions to Alzheimer’s research organizations; sitting on the board for Relay for Life, and running Mountain Caring Clinic, a 501c3 nonprofit, community “closet” that provides free medical supplies to families who can’t afford items such as wheelchairs or monthly medical supplies that aren’t covered by insurance, her friends recently nominated her for an O2 Culture Award. The O2 Culture Award is an annual award given by Origami Owl at its annual conference to deserving Designers who embody the company’s mission statement. At The O2 Experience annual event in July of 2017, she learned she had won the honor. Sharon continues to work with her local chamber of commerce and is passionate about sharing the Origami Owl business opportunity with others. But, it’s the meaningful relationships and the company’s focus on being a Force for Good that matter the most to her.